A smile is the sword of beauty. It would even be more wonderful when a person smiles full-teeth, but stained or discolored teeth ruins everything. While others are fine with it, there are some who seek out treatments to have whiter and brighter teeth. With the help of Teeth Whitening Treatments at Columbine Creek Dentistry, stained discolored, yellow teeth would never be a problem. Tobacco users can’t catch a break when it comes to oral health. Smoking or chewing tobacco is one of the reasons why the teeth become stained. The two substances present in tobacco which creates stubborn stains are nicotine and tar. Even though the nicotine is colorless, it becomes yellowish when combined with oxygen. When a person smokes, there is a naturally dark residue that is left to the teeth called tar. Not only that, but tobacco can also put the person at a higher risk of gum disease and other oral health issues. Over time, nicotine and tar will be absorbed by the enamel of the teeth and would cause visible discoloration of the teeth. Nonetheless, tobacco can only cause extrinsic stains to the tooth and would not affect the tissues beneath the enamel. No matter how delicious coffee, tea, wine, soda, and juices, they can affect the whiteness of the teeth because of their high acid content. Some may not know that event the good-for-the-health foods have staining ability such that of beets, blueberries, cherries, raspberries, and others. To determine the other tooth staining agents, remember that whatever stains a white shirt can stain the teeth as well. The most known medications that can discolor the teeth are tetracycline and doxycycline. These antibiotics are given to children whose teeth are developing. Aside from these medications, mouth rinses that contain chlorhexidine or cetylpyridinium chloride can cause stains to the teeth too. 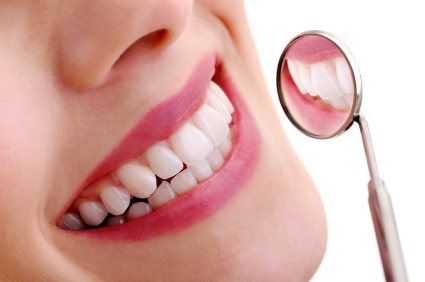 Other drugs that can discolor the teeth are antihistamines, antihypertensive medications, and antipsychotic drugs. As people age, the enamel layer of the tooth wears down. When it happens, the next layer of the teeth called dentin is exposed. The dentin is yellowish, which means that it is normal that when a person becomes older, the color of the teeth becomes yellow. It is not new that practicing poor dental regimen and hygiene can affect the health and the color of the teeth. Failing to brush and to floss the teeth is one of the leading causes of tooth discoloration because it allows leftover food particles to cling and stick to the teeth. Bad habitual practices together with poor oral hygiene are equal to an environment where bacteria, plaque, calculus and food debris will be present and live. Injuries to the teeth caused by falling, chipping or other dental related traumas can harm the enamel of the tooth and would result in the discoloration of the teeth. Although it is common in children, having injuries and trauma to teeth can happen to adults too. Now that the potential causes of tooth discoloration are revealed, patients must be able to understand the importance of properly caring for the teeth and start changing their ways. Proper dental hygiene and routine care for the oral health is the key to keep the smile white and bright.